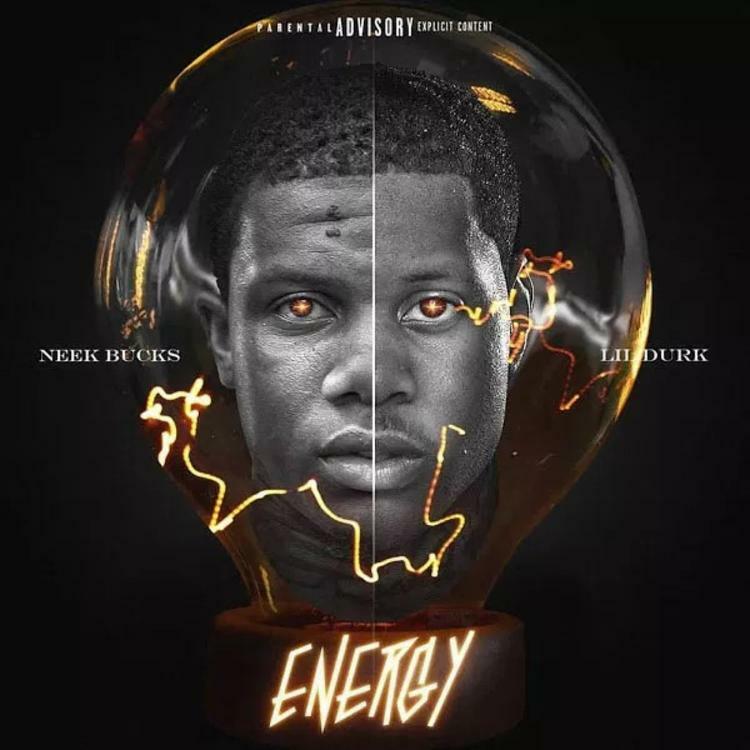 Neek Bucks and Lil Durk link up for "Energy." I'll preface this by paying respect to Lil Durk over the sudden death of his cousin Lil Mister. The timing Neek Bucks' DatPiff drop couldn't be any more misshapen, given the circumstances of Durk's cousin's death, and its proximity to the subject material at hand. "Energy," presumably a Neek Bucks solo record in its essential form, is boosted by the presence of Drill pioneer, for two reasons alone: for one, Durk's name lends big brother support, and secondly, his 8-bar verse gives the song a well-intended change of pace. If you wade through the monotony of Bucks' overreliance on "post-production," you'll notice he's actually spitting real candid bars about the dire cards he'd been dealt, and the perks, unhealthy distractions he picked up along the way. Hopefully "Energy" will incite to look deeper into this up-and-comer's career. Don't make it your last. Dropped my tape, now I charge 30 for an adlib.